A few years ago the KonMari craze blew up social media and also changed many lives in the process by spreading joy. The process of reducing belongings was innovative (and at times really made you think). Marie Kondo’s book “ The Life Changing Magic of Tidying Up”, was and still is the book to get for making a fresh start and learning how to tidy. Creating this post with her steps in mind was really fun. I do suggest to start with other categories (clothes, books, and papers) to build up your skill in identifying what brings you joy. Plus, in her book she states to do harder things, later on, this is why I suggest starting with clothes, then books, and then papers. That way you are truly keeping what brings you joy by changing what you have around you. 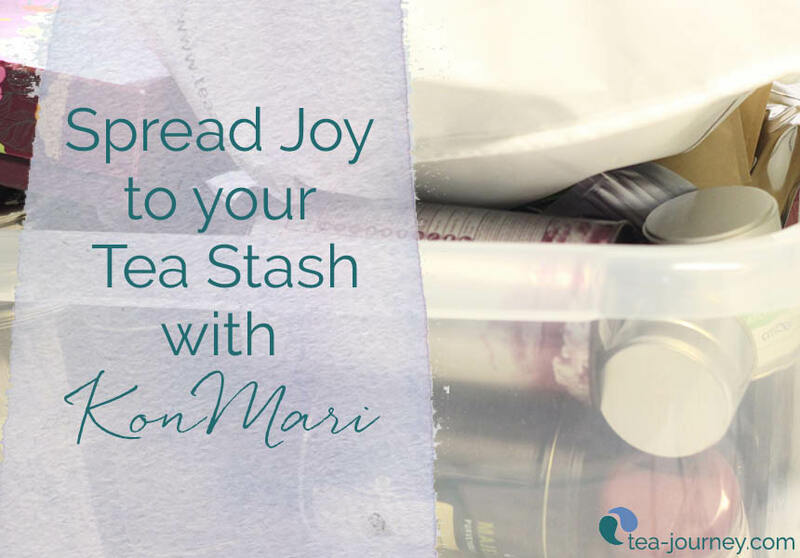 So let’s dive in together to get ‘er done, and spread joy with KonMari. Look at your tea stash right now. How much do you have? Is it an “I have a problem”, “everyone gifts me tea”, or “when did I get all of these”? Or anything similar? It does not matter who you are, tea sommelier, tea fanatic etc. We are all in the same boat and it is time to keep only what brings you joy. What do you want from your teas? Is it diversity? 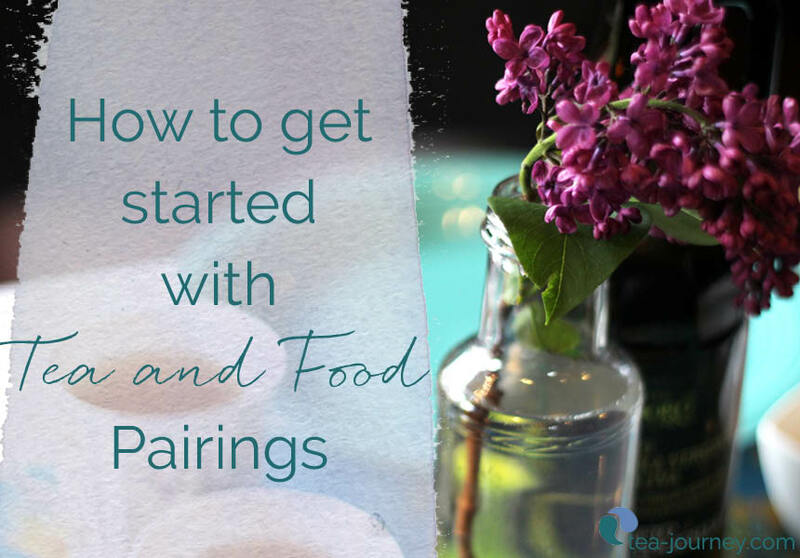 Or do you tend to gravitate towards certain types or varieties of teas? Image the type of lifestyle you want with your teas, draw it out if you have to. 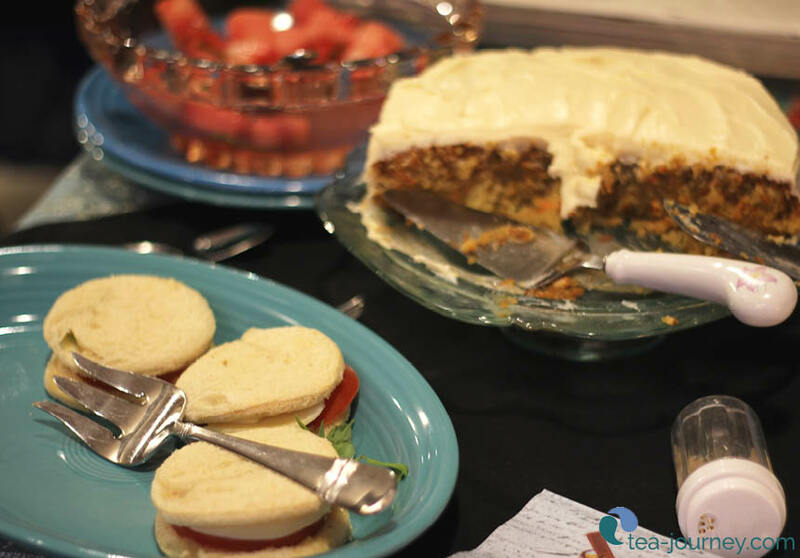 Lastly, what do you want your life to be like with your tea? Take out all your teas, all of them. If you miss any consider them void and null (aka give them away), having this thought really makes you get them all together (I found some in a bag for sampling and other random places, so look everywhere). Get them all together in one place, I used my bed. But you can easily lay out a sheet to lay out all your teas on till they are all together. Once you are 100% sure you got them all, then we can move on. If you finished the clothing, books and papers categories, then this will be easy. But if you haven’t you have to really dig deep and use your intuition to check if your heart feels joy from that specific tea. The process is simple: pick up each one individually. Ask yourself ” does this fill me with joy?”. I found that occasionally I needed to smell it ( resist brewing, its hard but the end will be worth it promise!) and occasionally look a the leaves. If I notice the smell is off or stale, or the color is off. Then I take that into consideration, based on type (Puerh, of course, changes over time, but I also kept an eye out for red flag mold, thankfully there was none but it is best to check). Repeat the process for every tea, each and every one of them. The ones that don’t bring joy will go in a separate pile, these will be “disposed of” or used in an alternative way (but ONLY if you are truly going to do it). I used some for fertilizer and some got turned into a bath mix with Epson salts. But if you can not decide an alternative use, then dispose of them. The leaves will understand. Simply, before letting them go, thank them out loud for their service to you and all the brews you had together. Take a look at what remains for you. My own collection went from a mish-mash of random teas to specific types that were right for the life I want. Now it is narrowed down to Japanese teas, Taiwanese oolongs, special oolongs and Puerh and select herbal teas. It’s much more manageable now to know what I have on hand at any given time. 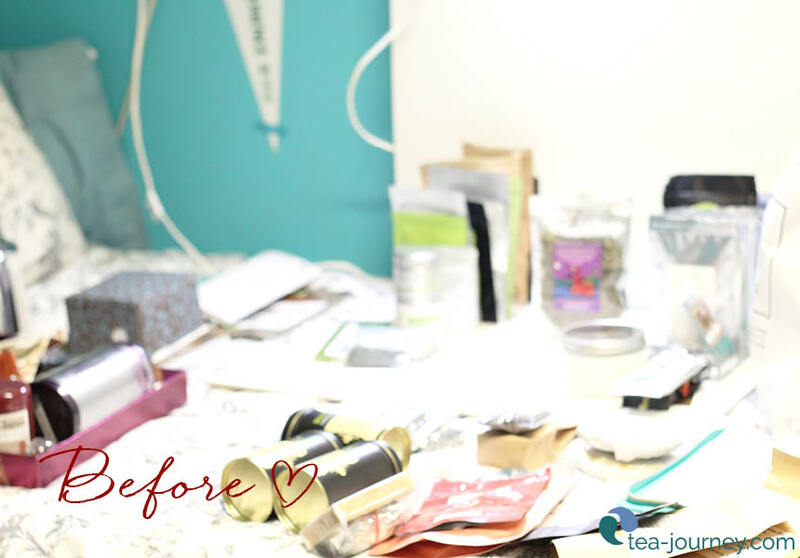 Since you now have gone through your teas, now and only now, is when you can organize them. Doing this part last is important as we needed to make sure our collection reflected what’s in our heart and brought us joy. We got here! I am so ecstatic that with your help we were able to get there.I am very thankful for each and every one of you for being here with me, for every up and down over the years. So many changes have happened over the years to grow Tea Journey to what it is today. 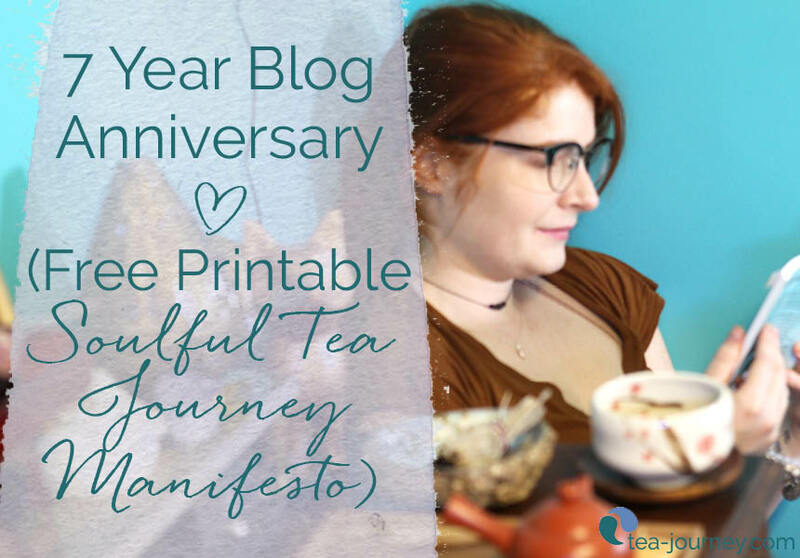 To celebrate the Tea Journey manifesto has been updated (wait, what?) but more on that in a second. 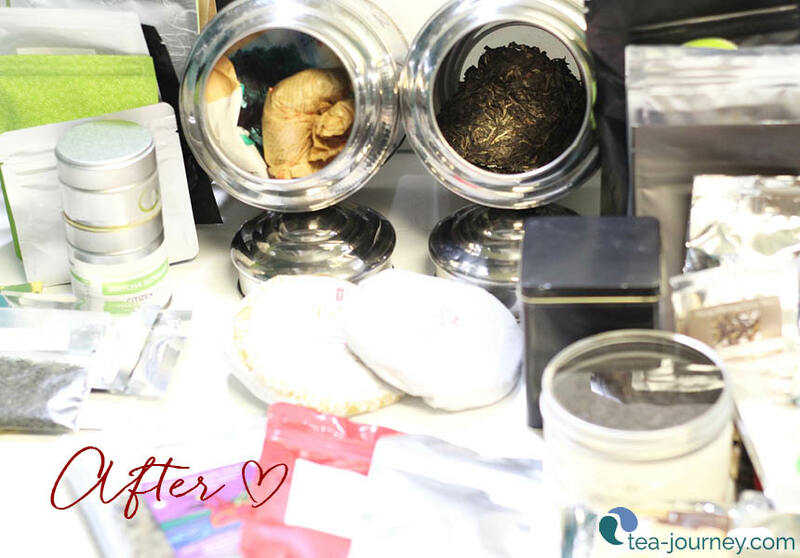 After some digging (and investing in both you and Tea Journey), I can finally explain what Tea Journey is about in my heart in two sentences (you know that short line or elevator talk thing). 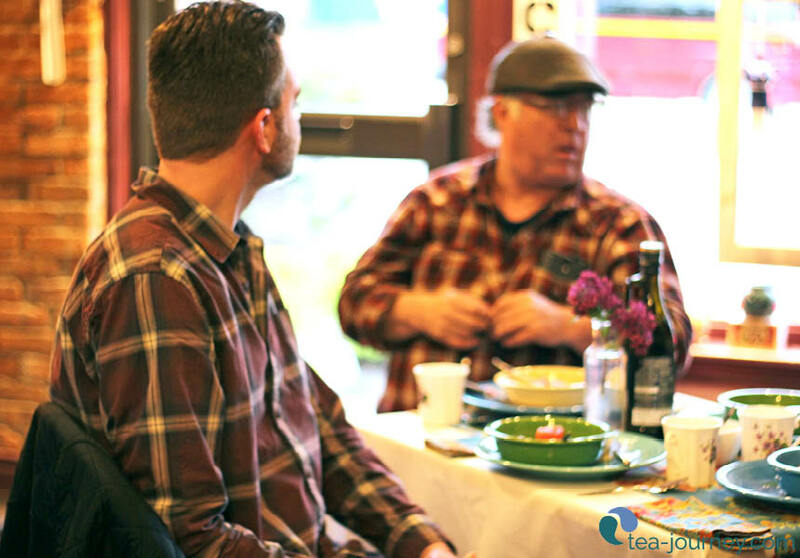 Tea Journey is about infusing life with the wisdom of the past. Using tea, culture, soulful exploration and “magic” to create a life that is a modern take on the past. Magic, aka manifesting and using vibrational energy (think Wu Wei or that crazy powers they use in Chinese fantasy shows/movies or THE FORCE). I hope you can feel my excitement in putting that out there for you (BRB need more water for my morning tea aka after-ning?). 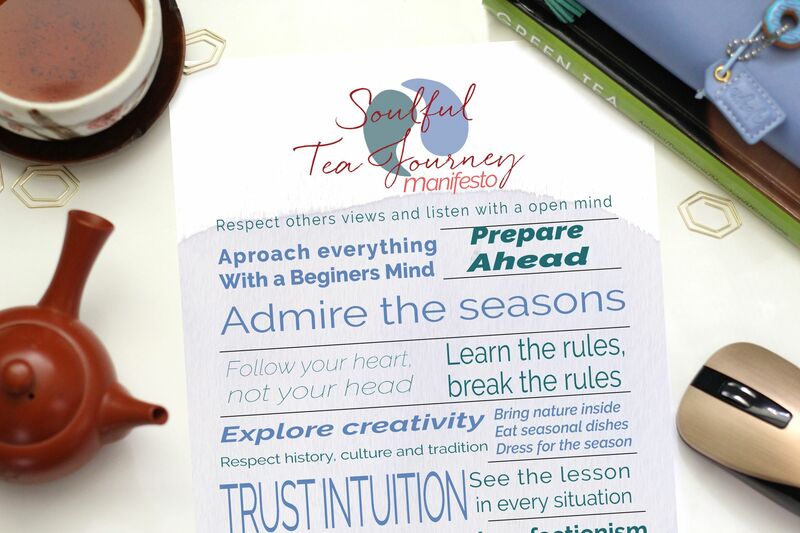 Because of this soul discovery (through tea from Global Tea Hut – April 2017 Heavenly Blossom), the manifesto has been changed to Soulful Tea Journey Manifesto. This is because It truly expresses the essence of tea and how it stood in the past and is still now in many hearts. And how the manifesto was thought out. Every sentiment was thought through deeply in consideration of modern life and things that we need right now to be more present (with tea and beyond). The printable is sized to a standard sheet of printer paper, but as it’s a PDF you have the chance to resize it for where you wish to have it. Click the button below to grab your copy. Will you help me out? I truly hope you enjoy the manifesto what it stands for. Going forward I want to bring more projects to help you, but I need your help. This blog may be written by me but it is for you. I enrolled in a class (copywriting to improve my writing) and to go onto the next part I have a quick-short survey for you. These questions are for us to get to know each other better overall and bring content that you are craving. 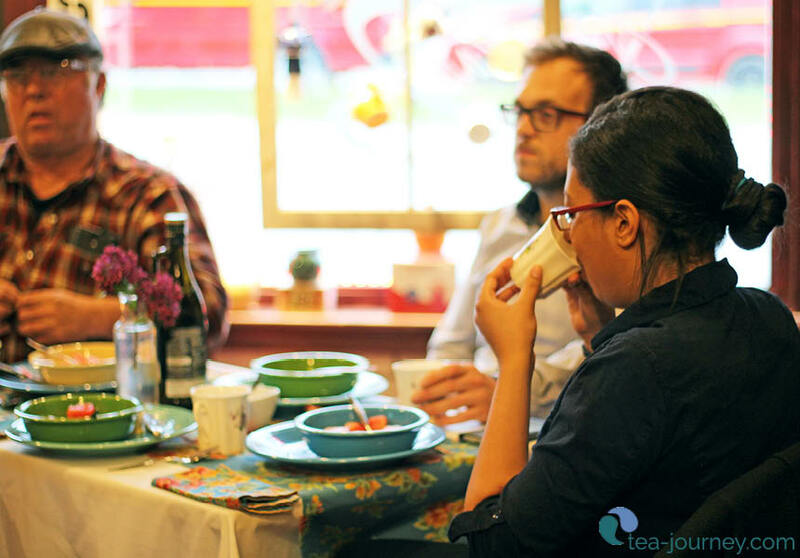 I want us to craft Tea Journey together to spread tea, culture and it’s magic. Click the button below to launch the survey, write as much or little as you want. Every word is anonymous (but if you want me to know it’s you go for it or send me an e-mail to say hi). I can not thank you enough for being here for the journey this blog has taken. If it has resonated with you, please spread the word by sharing this post with #soulfulteajourney (don’t forget to tag Tea Journey) with your circle. Have you ever done something so many times that you feel that you know it so well? We all have felt that way in some way or form. But we can break this cycle by just changing our mindset and improve each repetition. In Japan having a Beginner’s mind at all points (even after 100th repetition) makes them continue to learn from something they already “know”. The term came out of zen which latter became part of Japanese culture as the Tea Ceremony became an important part of life itself. If this singular idea can make a whole country and culture become so proficient in what they do. A student will repeatedly study old and new material even when there is no exam to prepare for. A sushi chef will practice molding rice to place a piece of fish so many times before he has a singular customer of his own. 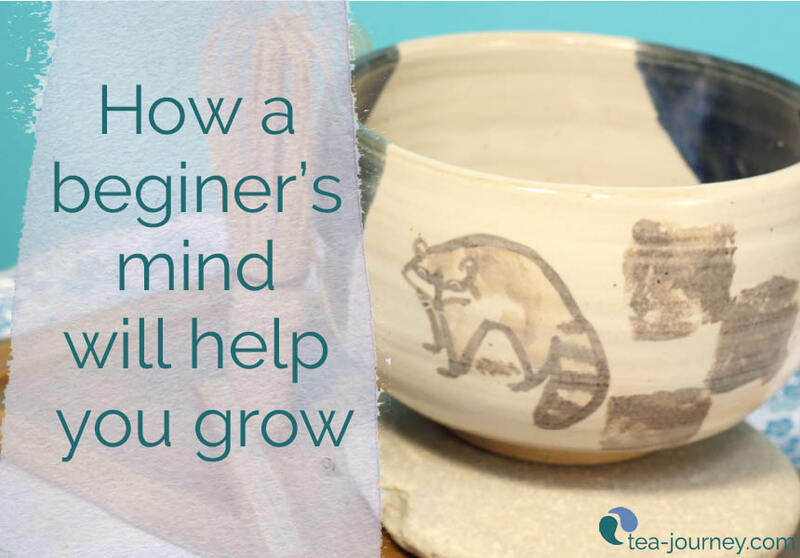 Both will succeed and continue to practice by using a Beginner’s Mindset. Now image what I can do for you in the different parts of your own life. Using it is quite simple, let go of what you think of the task. By doing this, letting go of preconceptions, it allows you to try a task a new and free of restraint. Next, will be to practice or repeat the steps to become proficient. To top it all off each time you do the task repeat from the beginning by having no preconceptions. Every moment you can turn into a chance to learn and grow. Now when your parents or Grandparents are teaching or telling you something new you can take it and go beyond. You can learn the wisdom they have been trying to pass onto you, and learn it in a way that is easier to comprehend (because we let go of what held us back before, our preconceptions). Learn job tasks quicker than the others and improve as you go. Every project will be filled with new life. Writing that report or filing those papers will become a new again. Through this method, you may even be ready for some promotions. Remember that student I mentioned above? You can use the same method to gain higher marks in your classes or even workshops you attend. Repetition with a little of a beginner’s mind will make every task you’re given just that little bit easier. Finally, you can look at ever new relationship as it truly is, new. Old relationships stay in the past as you focus your new one. Every step you take with them will become new, not “tarnished” by the past. This technique will take some adjusting to your mindset with will power. If there is a preconception that will not go away try speaking aloud with the thought in mind and say “ I choose to see love instead of this”. Repeat as long as you need to and as often as you wish. I would love to hear if you have used this method before? Or are you going to test drive it out? Share your experiences in the comments below or tag me on Social Media. Namaste. Last year I spoke about different gemstones that are good for the body, but they are also good for your tea water. Water is very sensitive and can take on vibrational energies, the same goes for plants (no wonder we sing and talk to them!). If this is new to you check out my previous posts on maifan stones , gemstones and favorite gemstones. 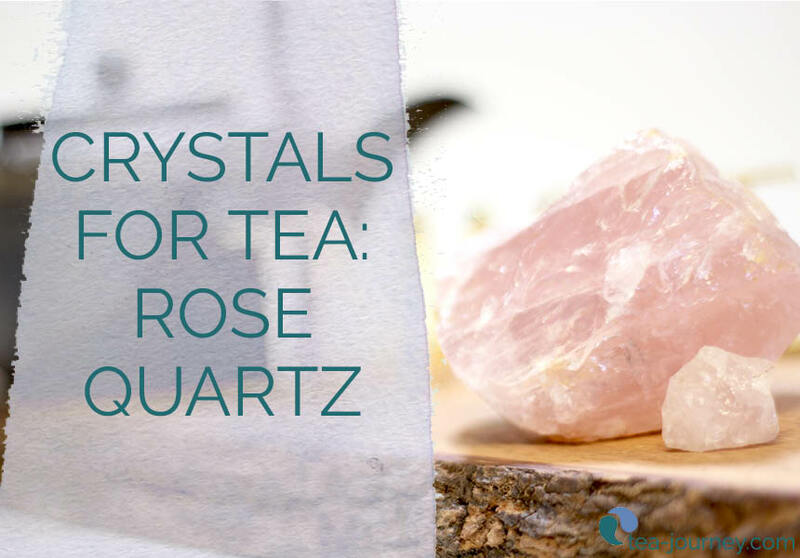 They will give you some background, but feel free to stick around to learn more about Rose Quartz (and what it can do for your tea). It is a pink stone related to the quartz family, along with other such as amethyst and aventurine. This stone in particular can be called a love stone. How perfect is that for the water which makes us our dear tea? Its subtle pink color is perfect for featuring in April with with Cherry Blossoms blooming in Japan for spring. You may be wondering why this precise stone, so let’s get into what it can do for us with tea (and in our day to day life). Think of your mom, or even your grandmother, these people in our lives are just comforting being around them. It makes you feel loved and cared for. For women this extra energy is gives us that big hug that makes us feel appreciated for all that we do. For men (we didn’t forget you), it balances out the ying and yang. Giving you that other side that you need (but maybe don’t want to say you need. Shhh we won’t tell anyone) by adding in a little feminine energy to the mix. Think of this as instant self-care or affirmations (but in your tea!). A blanket of warmth loving energy comes through in the cup which makes it perfect for end of the day (or grounding a friend who is feeling down). I believe that we don’t hear that we are loved enough throughout our lived ( #truth ), and want to feel that warmth. Boil your water with rose quarts in the kettle to give yourself some love. For extra credit, use this tea during your self-care time and feel that love wash over you. As mentioned earlier, Rose Quartz is a balancing stone. We need both feminine and masculine energies to feel grounded and balanced throughout our lives. Also, it helps with stress and anxiety (bonus!) just by bringing you into balance. Infusing your tea water with stones is a simple way to get that in there with no fuss! Happy Mother’s Day everyone (even to those fur-baby mom’s out there). Only one post this week, so that I can get some cleaning done for my mom (she loves this idea). Welcome to the new Tea Journey, I hope you love it. I can not wait for June 10 (7 Year Blog-versary) to celebrate this milestone with you! Cheers my loves! What do you think of this stone? Is it too “woo woo” for you? Share in the comments below and spread the love!